This Blog Candy is now CLOSED!! Thank you so much to everyone who had entered!! 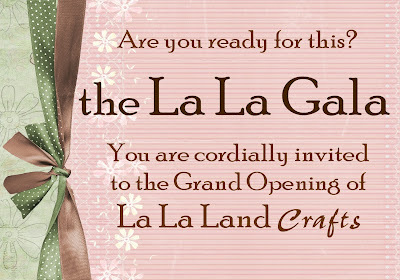 Before I start with the post today, I would like to remind you that the Grand Opening of La-La Land Crafts is in less then two weeks!! Wednesday, August 12th we will start the celebration with the party at Cranberry Hill Mercantile at 6 pm, we call it the La La Gala ;-) . The website will go live at around 11 pm PST. The party at Cranberry Hill Mercantile is a private event, if you would like to attend please stop by or call Cranberry Hill Mercantile at 408-736-9151 to purchase your ticket. The cost of the ticket is $10. 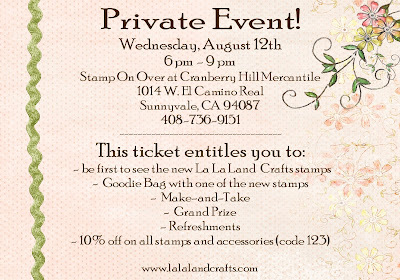 With this ticket you will be one of the first to see the stamps in the very first release from La-La Land Crafts!! You will also receive a Goodie Bag with one of the new stamps in it (valued at $9), will be entered into the drawing for the Grand Prize (valued at $100), free make-and-take, refreshments and 10% discount on all stamping supplies in the store!! We only have a few tickets left, don't miss out!! Now.. back to business.. We got 79 entries into last weeks Blog Candy, not as many as the first one, but not too bad.. Thank you SO MUCH to everyone who had left a comment!! 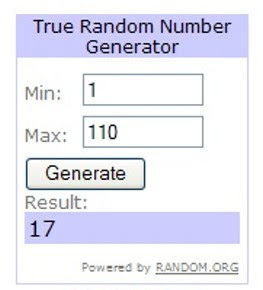 I used random.org again to pick the number, and the lucky number tonight is.. I've always loved your cards so I'm excited to see your new line of stamps. Congrats! Congratulations Lisa!! Please email me your mailing address. Rosie and the other goodies will travel to Central Missouri!! Now is time to show you another image from La-La Land Crafts. The first two sneak peeks were the images of the girls, first Lala and then Rosie. But we just couldn't be in La La Land without the animals. I give you Maya, she is a silly cow that represents today our line of Animal stamps!! She is so cute, she makes me smile every time I look at her!! The artist behind the animal line of stamps for La La Land Crafts is Aleksandar Alexov. You can Aleksandar's work here, here and here. Well, you already got the routine, right? We are going to have yet another Blog Candy, and this stamp of Maya is included!! Here is how to enter.. Mention my new Company AND my Blog Candy on your blog, then leave a comment under this post. If you do not have a blog, just spread out the word about my new Company AND my Blog Candy (or just simply promise me that you will ;-) ) and then leave a comment. I will draw the winning number next Wednesday, August 5th, at around 10 pm PST. That will be one week away from the Grand Opening!! We will have to do something BIG, make sure to come back to check it out!! This Blog Candy is now CLOSED, thank you so much to everyone who had left a comment!! We got 110 entries into the first Blog Candy, not too bad for the new blog!! Thank you SO SO MUCH to everyone who had commented and for all your sweet words and wishes!! Your support means a lot to me!! Without further ado, here is the winning number..
Christine, you are the WINNER!! 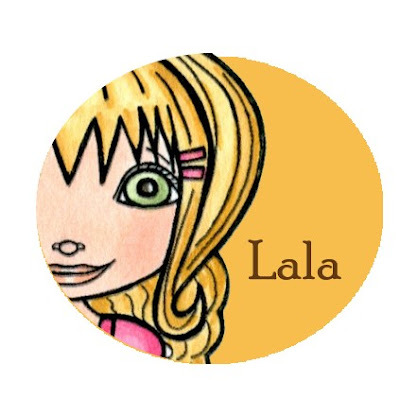 The very first Lala stamp will travel to Texas!!! Christine, please email me your address. 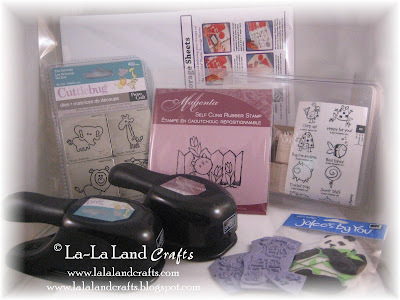 Now is the time to show you another little Sneak Peek of my La La Land Crafts stamps. 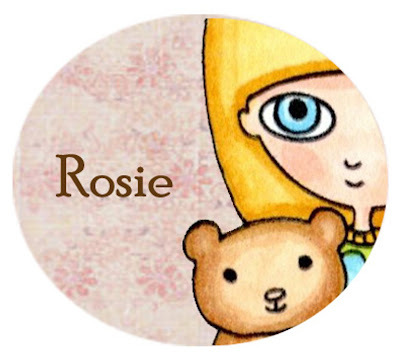 Meet Rosie, please give her a big warm WELCOME!! Isn't she darling? and she has a teddy bear!! The artist behind Rosie stamps is Biliana Savova all the way from Bulgaria, you can see more of Biliana's artwork here. I will draw the winning number on Wednesday, July 29th, at around 10 pm PST. On the same day I will have a sneak peek of the image from yet another artist, and there also be yet another Blog Candy. Also wanted to remind you that the opening date has been set and you can now purchase your tickets for the event at Cranberry Hill Mercantile in Sunnyvale, CA. For more details please see the post below or click here. This Blog Candy is now CLOSED! Thank you to everyone who had entered!! 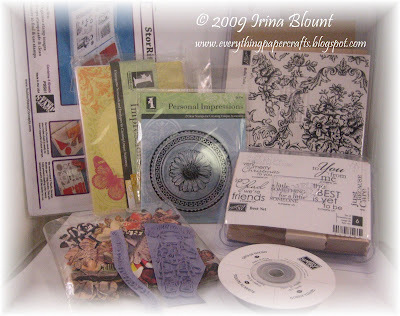 I have been paper crafting for about 7 years now, it all started with scrapbooking and then I have transitioned into the Card Making. I really love making cards because for the small project there are sure so many options and every time I make a new card I get a feel of accomplishment. A few months ago I have decided that I should take my love of stamping and cardmaking a step further. And I took it!! Not even a step really, but a HUGE LEAP!!! I have decided to start my VERY OWN STAMP COMPANY!!!! Are you excited for me yet? There is a slogan under my other blog "Everything Paper Crafts" title, it says "welcome to my happy place, to my crafting La La Land". Crafting has really been my happy place, my La-La Land for many years. This is where I go to escape from reality sometimes, and it has definitely helped me to get through some hard times in my life. And what better name for my stamp company would be then "La-La Land Crafts"? Here you go!! There is a new stamp company in town!! How about that??!! 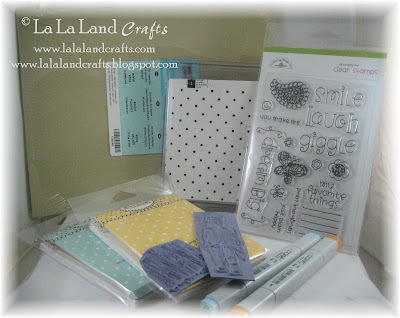 I would like to introduce to you for the very first time, "La-La Land Crafts"!!! Who makes the artwork for my stamps? I have searched high and low to find the artists with just the right artwork that appealed to me, and which also could be turned into the line art for the stamps. Not an easy task let me tell you, but I have found three!!! The first release will have six images from two of the artists, twelve stamps all together!! The second release (already in works) will have the images from all three artists..
My stamps are made of a very high quality deep etched red rubber.. they are already mounted on the cling cushion!!! they are trimmed and ready to be placed on acrylic blocks!! Because of the high quality of the stamps, you will get great stamped images every single time!! My stamps will be available both retail and wholesale. They will be available internationally too. You will be able to purchase my stamps through my website, http://lalalandcrafts.com/ and also in some of the craft stores. The website is still in works and will be up and running on the official release date. Cranberry Hill Mercantile will be one of the first stores carrying my stamps. If you are a store and would like to carry my line of stamps, please contact me to set up a wholesale account. The release date will be sometimes at the end of August, the date is being determined. We will start the celebration by having a Grand Opening at Cranberry Hill Mercantile. The website will go live the same day at 11 pm PST. I can't tell you about my new stamp company and not show you anything now, can I? I would never do that to you!! I can't show you the full images until the official release day, but here is a little sneak peek!! This is Lala from La-La Land!! Isn't she adorable? Can't wait for you to see the full image of Lala. The artwork is by a super talented artist Kathy R. Jeffords. You can see more of Kathy's artwork here. I will draw the winning number on Wednesday, July 22nd, at around 10 pm PST. On the same day I will have a sneak peek of the image from another artist, and there also be another Blog Candy.